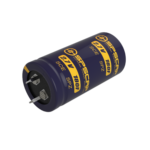 Mature products in the super capacitor market are usually modules made up of 2.7 V cells, because the production process of all the 2.7V cells are similar in terms of raw material such as the electrodes and the electrolyte. 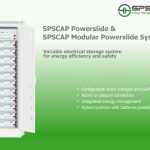 As a leader in the supercapacitor industry, SPS made some improvement on the raw materials and the assembly process, as a result, has developed a new generation of high capacity product— 2.85V 5600F to meet the demand of hybrid cars, rail transit system, heavy duty machinery and start-up system for diesel locomotive.Compared with the existing 2.7 V Cell, 2.85 V Cell has the following advantages. Under the same volume, power density and energy density increases more than 10%. Increased peak current, higher current value at maximum load. While power and energy of the system remaining the same, it can reduce the number of cells being used to reduce overall weight of the system for optimal design. In addition to the SPSCAP®2.85V720F&800F released in this April, SPS also has other blockbuster products in the middle to high capacity specifications in the 2.85V series. 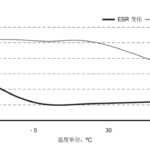 From the application point of view, the higher the voltage of an individual cell, when it is connected in series connection to form a module of a certain voltage, the fewer cells are required. As a result, the volume, cost, and weight of the module will all be reduced. At the same time, 2.85 V series products and corresponding modules have also made significant improvement in terms of cycling life, power and capacity, system reliability, etc. 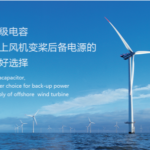 Now it is gradually increasing its market share by the advantages of lower cost, higher efficiency, smaller size. 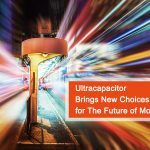 This will signify that the domestic super capacitor sector has launched into the era of 2.85 V.